Apple’s new ad, called “Underdogs” is meant to show off a number of Apple products, from iPhones to iMacs to AirDrop, commonly used for work. The products are okay, but the ad—clocking in at three minutes—is really good. Here it is, followed by the things that cracked me up about it. The woman’s angry look when she steps out of her car at :13. The look on the “sick” guy’s face at :43. What a jerk Mike in Finance is at 1:03. Great face. When Brian’s mom wakes him up at 1:34, and his reaction. When, in the restroom, Mike from Finance asks the two guys what they’re working on, at 1:53. When the designer at her desk yells at the back seat drivers huddled around her at 1:58. When the team member guy asks his son for his iPad back, the kid’s response, and the quick edit at 2:05. When the fierce boss hands her coffee to her assistant at 2:30. “Did anyone press the button?” at 2:49. The prototype Frisbee at 2:21. 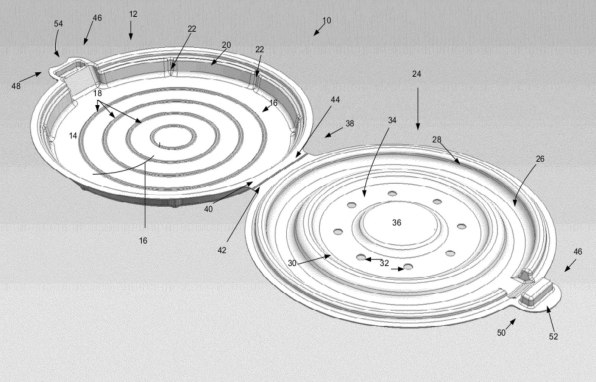 And yes, as pointed out by @cabel, Apple actually holds the patent on the round pizza boxes used in the ad. 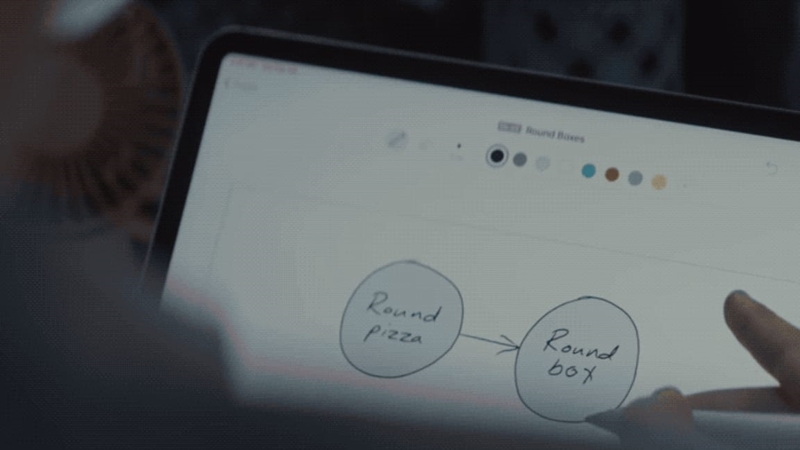 They’re used for desk pizza orders at Caffè Macs at Apple Park. I also liked how the commercial showed how our work lives and our personal lives often flow together, with the lines blurred between each. Apple wants us to know its products work that way, too.